Sony has just rolled out another overview trailer for its upcoming PS4 exclusive title, Days Gone. This new video talks us through the various enemies Deacon will face as he explores the post-apocalyptic open world. The short version is, basically everyone and everything is out to get you. Freakers is a catch-all term for the infected foes that populate the world, with the most common type being Swarmers. These are the ones that roam around in smaller packs or giant hordes. Newts are smaller enemies that'll target you when you're low on health. Screamers will alert other Freakers to your presence, and Breakers are tank-like brutes. However, you'll also have to deal with human enemies, wolves, and no doubt other wildlife. It's a pretty hostile world that Bend Studio has crafted. 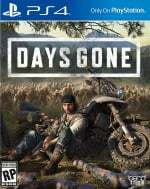 Are you excited for Days Gone on PS4? Don't freak out in the comments below. This game has come a long way. This looks better with every video they release. I hope the story is good, Sony might have another success on their hands. I don't think bend is right showing this game when still in alpha, the discussion about this game will be a lot more positive from the beginning if bend show it now rather than a couple of years ago. I just... can't get excited for this game, as much as I would love it to be a great game, it just doesn't seems to be one. This is looking incredible. Does it really run that well on the standard ps4 too? I'm now quite a lot more interested than I was before. @get2sammyb do you think this game gonna be good ? @ResidentEvil2 I do actually. Don't think it's going to be a classic, but I do think it'll be good. A lovely day in Days Gone. looks better the more i see of it. Pre-order still very much secure...and yes...not a classic by any stretch but so much fun to be had!! I'm over the zombie thing to be honest. And, I just can't believe a biker character would be called Deacon St John. Come on, that sounds more like an 80's new romantic or something! This surprisingly looks really good. I'll wait for reviews, but I'm keeping it on my radar. @tomassi I've learned to stop using common sense when it comes to gaming. Remember that red haired cave girl who shoots arrows at mecha dinosaurs? What would you have him called? I'm yet to see anything that really makes it interesting. To me it just looks like The Walking Dead played from the perspective of one of Negan's men, with Uncharted's gameplay. It’s definitely looking better with each trailer, but I don’t like how the shotguns seem to not have a lot of force. Man, this game is really starting to come together. I'm actually excited for it now. Bought a ps4 pro for this 2 years ago... better be good. 1st ever pre order (collectors edition no less) I’ve made... im 46yr old and boring my misses stupid with the clips... I’ve even booked days off work ... jeez.. adulthood eh! @Riparcade2 Wow. I genuinely hope this is amazing for your sake! I was initially apathetic about it but it's looking really good now! @frigate I’ll blame my nephew if it’s duff... he showed me the 1st hoard swarm in the barn and up on the rooftops. He knew that I enjoy such categories of film/game... I was willing to take the gamble still glad I did! This is probably the first trailer, that sucked me back into day 1. I don't know what it is but I was hyped but more I see something feels off. Cant put my finger on why. Will keep a close eye on it after release, but definitely not an instabuy. These trailers just keep getting better and better, polished to the max, my hype levels just keep increasing, can't wait to April, game is going to be a classic. @JJ2 I like the 80's too, but Deacon St John sounds waaaaay too posh to be a greasy Hells Angel! He should blatantly be called Knuckles Romero or something. I was thinking of something like Joe but then I don't have much imagination. @JJ2 Joe Elton St John seems reasonable to me. Pretty macho!